Everyone has their favorite paleo diet recipes – including us. Here’s some of our favorite paleo diet recipes and some other great resources to check out. While taco pie isn’t necessarily an authentic Mexican dish, it’s still delicious and contains many of the qualities of Mexican food. Check out this savory dinner idea from Paleo Diet Lifestyle. Click here to check it out on their website. Serves four. Meatloaf is a classic dinner recipe. This one comes with a unique chorizo twist from Food Renegade and is sure to please. Click here to see it on their site. Makes around 18 loaves. Elk is a rich meat, and when combined with this recipe that utilizes delicious figs and olives it is even more fantastic than ever. See the original recipe on Best Paleo Recipes. Pancakes are an item that many breakfast lovers struggle to stay away from when they first begin following the Paleo lifestyle. Good thing they don’t really have to! These almond flour pancakes are Paleo friendly and delicious. We found this at PaleoPlan.com. Serves two. Combining a tasty dry rub made up of some classic spices, lean pork and a variety of other flavors put together in the perfect sauce is the way to an enjoyable Paleo friendly pulled pork recipe. From FastPaleo.com. Everyone loves chicken fingers, but many of the ingredients involved in the frying process are not always Paleo friendly. Paleo Mama has made some great substitutions here that fix this problem. Oysters Rockefeller is not usually a dish that immediately comes to mind when one thinks of Paleo, but this recipe makes it a relatively easy dinner option. This recipe is modernized a bit, and works perfectly for those who are eating Paleo. From LeitesCulinaria.com. Keep this interesting recipe featuring lean meats, distinct spices and grilled veggies on file for the next time you feel like doing a bit of grilling. One of our favorites from The Cranking Kitchen. Chili is pretty much an open book when it comes to ingredients. 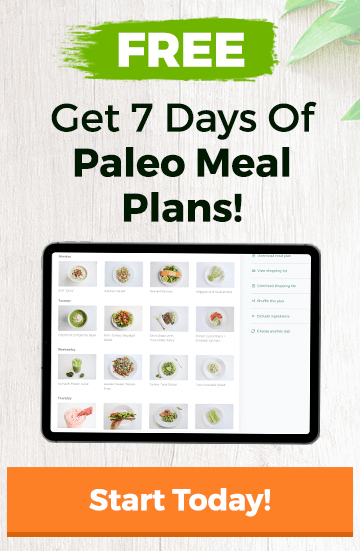 There are tons of Paleo options to add to it, and the folks over at Crossfit El Paso came up with a great version here. A lot of people miss baked goods when they make the switch to Paleo. The good news about this is that there are plenty of baked goods recipes that are still friendly to their new way of living. Here’s one for some delicious muffins from Balanced Bites. Makes 12 muffins.